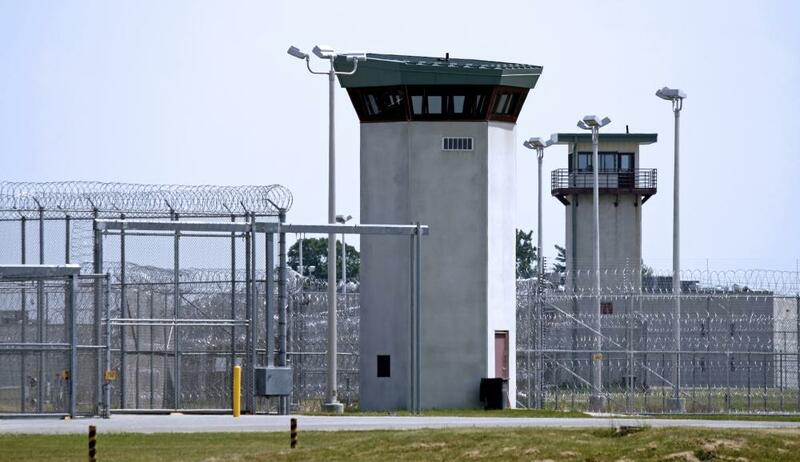 Contempt of court is punishable with time in prison or fines. A witness who fails to answer a question might be held in contempt of court. Observers in the audience can be found in contempt of court if they act disrespectful or disobey the judge. Showing a lack of respect to the officers of a court can lead to a contempt charge. Contempt of court is a charge that can be laid against someone for interrupting the process of justice in a court of law. A charge of contempt, if proved, can result in fines and jail time. Many people are familiar with the concept, since it tends to come up in courtroom dramas. There are several different forms of contempt. In all cases, they are rooted in the idea that a courtroom and its officers demand respect, both out of common decency and because a court acts as a legal authority. Failure to respect the court can compromise the course of justice, potentially causing a mistrial or compromising the integrity of a trial. As a result, this charge is treated very seriously. Civil contempt of court involves a failure to obey an order from a court, and it can typically be purged by obeying the order. For example, someone may speak out of turn in a courtroom during trial proceedings, disrespecting the basic rules of the courtroom. The judge can indicate that he or she will find the speaker in contempt unless the speaker sits down and remains silent until it is appropriate to talk. Alternately, a witness could fail to answer a question, in which case the judge will instruct him or her to answer or be held in contempt. Criminal contempt of court actually hinders the operations of the court. Examples of this include a failure to produce evidence when subpoenaed, or threats to the judge, jury, or lawyers. Someone who yells at the judge, for example, could find him or herself facing this charge. Contempt of court is also broken up into direct contempt, which takes place in front of a judge, and indirect contempt. In order to prove a charge, it must be proved that the contemnor was aware of the court order or rule that was violated, that he or she was able to comply with the order, and that the person failed to do so. If proved, the sentence for contempt varies, depending on the severity of the crime. As a general rule, individuals will not be at risk of being charged with contempt if they behave courteously in a courtroom and comply with all orders from court officials. People do not need to be afraid of court officials, but it is a very good idea to be respectful, treating them as they would wish to be treated. Anyone who is unclear on a point of court etiquette can ask a bailiff for assistance. 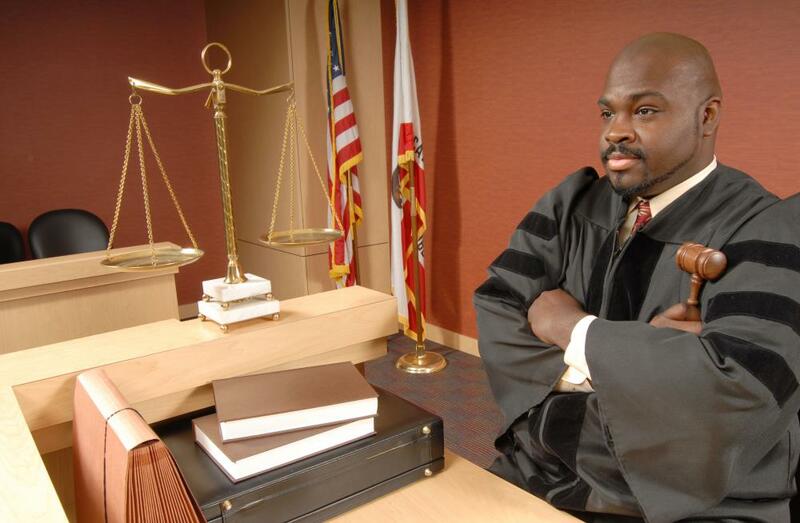 What does a Court Usher do? What is a Motion to Stay? 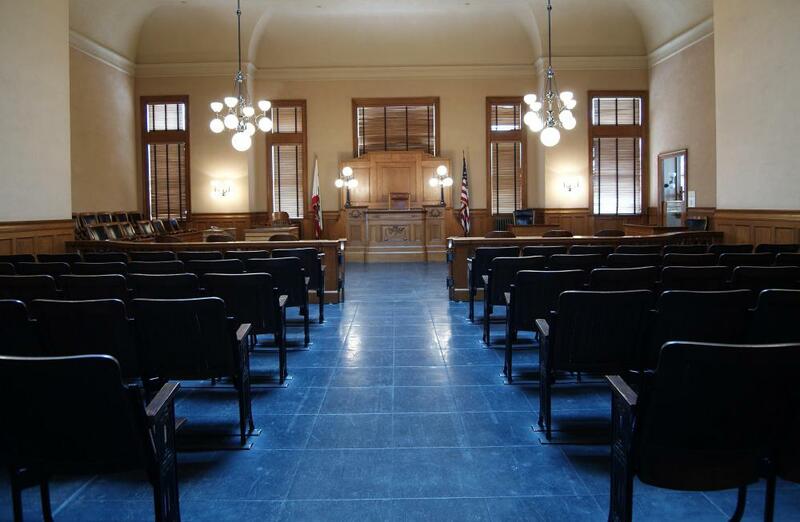 What are the Different Types of Courtroom Technology? What is an Open Court? I was in a child mod/custody case, and apparently it was documented for me to not go and give out my exes psychological evaluation to anyone without the courts, and owners' consent. I don't know why, but I didn't know, remember, or realize this and ran over to the person she was told to get her new psyc eval from and gave her a copy of the old one. My signature is not on the court document, and I don't remember them saying to not do this. Could I be in trouble? I don't know, and I'm worried. My boyfriend's ex-wife pressed charges on us for harassment, but when it came time for court, she didn't show for the charges she brought against us. Both charges against us were dismissed, but what happens to her for pressing charges and not showing up for court? I filed for Post Decree Relief, and went to court twice. The second time, my ex-husband agreed to pay by 90 days but didn't. Were going back to court again. Now I believe that I am entitled to more. What more can I collect for damages, pain and suffering? The father shares half custody and pays his support on time, and is supposed to pay an additional amount monthly, but is now behind because he does make the money he used to and he has to pay for all child care and for all three children to go to school, and he now has a contempt on him. What will they do? I haven't seen my child in over a year and can prove I have made efforts but she has not. Is that contempt of court and can she go to jail? What if it is a Maintenance Contempt of Court, like the father has the access and I don't want it?. I didn't allow him to see his son. So what happens when you are being accused of contempt when the other person actually is? In our order due to its nature (it's a third party visitation) there is only one person authorized to pick up the child. The order has been signed by a judge. The one person sent someone else and in accordance with the order, the child did not leave with that person. The other person told me about it three hours beforehand and to comply with the order, I offered if that person needed to be late, we could wait. They refused and are now threatening to take us to court again for denying access. They are the ones who refused to follow what the judge signed. I had two lawyers back up that it was right to follow the order on our part. What can really happen with this? If a person complies with a court ordered document and signs to agree, then breaks the order of access to the other parent knowing they're in the wrong, make up time and heavy fine should be ordered if this is not first offense. I already realize that juries can nullify any law in a court of law by just voting the suspect innocent of all charges, this is a well known fact in a criminal case. I am wondering if it is possible for the jury, prosecuting attorney or the defense attorney to find the judge in contempt of court charges or is the judge the only person who has this authority? If this is the case, what law gives the judge this power and authority? my grandsons are being put in harm's way and I am told there is nothing I can do. First, there is a court order for drug testing on the father, which he never did and the court let him have the children. Second, he has been arrested for hitting people in a turkey hill store and was put in the psych ward at the hospital. Third, he will not comply with the court order that the children's activities still take place even when it is his weekend. They are on a bowling league and have missed most of the second half of the season because he will not take them. the father's house. They are sometimes being made to stay in doors just in underwear or the new wife's son's clothes, which are too big for a 4 and 5 year old, considering the boy is 8 or 11. Also, the girl in the house is kissing my grandson on the mouth and she is 11. what can i do to stop this? Please help. We are at our wits' end with this problem and we cannot afford an attorney. my ex wife was court ordered to pay me $2,000 by a certain date and did not. If i have my attorney write a note to her attorney, it costs me money, which i feel i should not be responsible for. Also, is there a way for me to act on this myself and if so, what and how quickly can i have this resolved. Last but not least and most important, can i make sure something is done for her not obeying the court order? I sought counsel because I had suspicion of my child's dad selling drugs in the presence of my child and having illegal drugs in his home. My lawyer advised me the court did not go on "hearsay" and I would need to show proof that he had some such. I denied him visitation and he had now placed contempt charges on me for denial of visitation. How will the judge rule, with knowing my lawyer told me I did not have a chance? I was physically unable to take my daughter to her cheerleading pictures. I was 45 minutes away and wasn't unable to make it on time. My daughter's dad said he is taking me for contempt of court. Is that really a valid reason? If a person is asked to show his or her w2 forms showing how much was earned in a year but this person could not show it. He or she did not work outside the home because of having two children at home that they care for. How do you correct this without going to jail or paying a fine if possible? It was not meant as a disrespect of the court at all. He or she just didn't understand how you prove you don't have an income. i thought my fine was paid and it wasn't and now they are saying I'm in contempt of court, so what happens if i pay my fine? will i still go to jail? A judge found me in criminal contempt of court for quietly stating, "In the name of Jesus" to myself in court while sitting in the third row of five benches. I was ordered to come before the judge's bench to restate my statement and was ordered to pay $100 or spend the night in jail. Of course I paid the $100. Is this legal? My soon to be ex husband says I'm in contempt of court for selling property that he said would be mine in the divorce anyway. What's going to happen? My neighbor filed assault charges against me and has since told me he will not show up at the criminal trial to testify if i pay him $5,000 before the court date. Is this contempt of court or extortion or what? she was to give me certain items,and take care of certain bills, then in return for me to sign off the title of my mobile home. she hasn't given me anything. nor has she told me she has the money to get the title of the mobile home in her name. but now is threatening me that she is going to get me for contempt of court. how would this be contempt of court on my part? if my ex partner breaks a court order by saying the baby's not well when i was supposed to have him and he was fine, is she in contempt of court and what happens when she's in contempt of the order please? I have been divorced three years and still haven't received monies on settlement which I was supposed to get the day of divorce. .my lawyer told me she has 30 days to give it to me and I told him if I have to wait 30 days I want it with interest compounded daily. The lawyer said I can't do that. I still haven't received the monies and she said she will never give me a penny and she would kill herself first. help. Can i sue my son's mom for filing false child abuse charges against me even though she knew that these charges were false? My soon to be ex-wife is ignoring a court ordered temporary restraining order. This is costing me money. Is she in contempt of this order? Is there anything I do prior to divorce court? anon42665: she is in contempt. you just have to do the footwork and bs to get it taken to court. too many times of it will ruin it for her. she may get nothing this time, but judges don't like that stuff. i'm going through it now. My posting is anon 11. About the situation with my daughter's mom. Any info on what will happen to her? She was given a final warning last time by the judge. Will this give me full custody with her having visitation? What are your thoughts? I have a situation with my daughter's mother that clearly violates our visitation agreement as much as possible. I am going to press for contempt of court this time because last time he told her "this is your last warning." Will I get full custody now because of this do you think? or what can I expect out of this? the court order provides dad with summer visitation. mom notified dad in writing that there would be no such visitation. Is she in contempt? I failed to show to court today, for proof of community service. i called and they said it's a warrant. how long until the warrant goes into the system? If I was ruled in favor of and the other guy ordered to pay $400 but refuses to pay. is he in contempt of court? I had a court date against Capital One for my credit debt and didn't go, then I was served with a paper from the county sherrif saying if I didn't pay immediately that I may be charged with civil contempt. Will they take me to jail over this? if you do not show up for your court date and are charged with contempt does that mean you are going to jail or will they just reschedule the court date? I went to court after I lost a small claims issue. I was asked to fill out a form giving my name, address,who my employer is, my social security number, drivers license number, the car I own and if I own a home. I filled out the entire form, my home is in foreclosure so I did not give that info as I no longer own it. I am self employed so I do not have an employer. I received a Bench Warrant for my arrest unless I pay $1,000. I do not have $1,000. If I had that kind of money I would not have lost my home. Why do I have a Bench Warrant on me? if someone was summonsed to court, but on the day of the hearing calls the judge and states they didn't have enough time to make arrangements at work and would lose their job if they did so, but lied about it *and* didn't work that day - is that contempt? Failure to show up for court to show cause of violating a court order after being subpoenaed but did not show up for court date. If a federal subpoena is not served on a person prior to the court date and time; can that person still be sought after when the court date is over?